Three Indigenous youth activists share their experiences growing up in Canada, from coping with the erasure of two-spirit people, to fighting for space off reserve, to re-discovering Indigenous identity after the death of a mother. This special edition of The Current was a public forum held in Toronto looking at how MMIW issues affect children and youth. Angel Wolfe was eight-years-old when a knock at the door altered the course of her life. "Two police officers ... told me my mother's jawbone had been found on [Robert] Pickton's farm," she recalls. Living in foster care, Wolfe hadn't seen her mother since she was five-years-old. She says she remembers what the officers said "word for word," including when they asked for a sample of her DNA. Wolfe says that day shattered her hopes for a future with her mother, Brenda Wolfe. "Growing up in care I always had a dream that I would pack my bags one day and run away and find my mom," Wolfe tells The Current's Anna Maria Tremonti. "Once those police told me my mother's jawbone was on a farm, that mirror kind of just shattered all over the floor." In the years that followed, Wolfe says she grew distant from her Indigenous roots due to the trauma. "I kind of ran away from my identity ... It took me a really, really long time to learn to love myself." 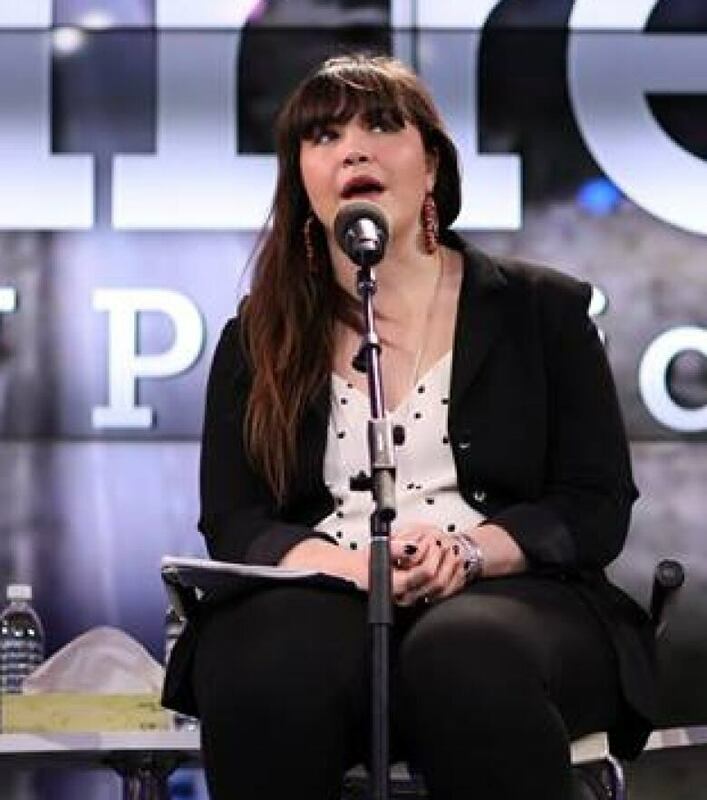 Wolfe says she struggled as a teenager, but eventually reconnected to her Indigenous identity in her 20s. These days Wolfe works to educate people on the reality of missing and murdered Indigenous women in Canada. Rebecca Benson is a member of the two-spirit community, and the two-spirit program coordinator at Egale. She says the issue of missing and murdered Indigenous women impacts them "drastically." "A lot of transwomen, for example, have gone missing, and they're not specifically named in the inquiry," she says. "And two-spirit folks are missing entirely from the language of the INAC [Indigenous and Northern Affairs Canada] inquiry website." Benson says the national MMIW inquiry is necessary and important, but she is concerned that it excludes the two-spirit community, transpeople, men, and boys. "The inquiry is set up along the gender binary and that's not our system necessarily of doing things," she tells Tremonti. "This isn't the Indigenous way of doing justice, so people will be left out." Benson says she expects "more than canoes" from the government. "We want canoes and then some," she laughs. "I expect folks to understand that reconciliation is a two-way street. And that we can't get to reconciliation until we have the truth part." Sam Mukwa Kloetstra is an Anishinaabe youth from the Mattagami First Nation who did not grow up with knowledge of the issue of MMIW. "I learned about [MMIW] through the news, not through school, which is where we should be talking about it," he says. Now that he's aware of the conversation and works as an activist, he says he worries about his female family members. "Every time I have a fear that when they leave the house, that they're in danger." Kloetstra takes his role as an ally to women in his community very seriously. "It's my duty as an Indigenous male to raise them, to help them in any way that I can as another Indigenous person," says Kloetstra. The Toronto MMIW public forum was produced by The Current's Josh Bloch, Pacinthe Mattar, Ashley Mak and Kathleen Goldhar.